My friend, John Rich of the fabulous men's shop, Oakleaf & Acorn recently told me about Old Try, a company that has created some really wonderful prints that honor and celebrate the glorious South. Micah and Marianna Whitson have teamed up in marriage as well as in the print shop. As Micah shared with me, "I do most of the ideation and design creation. Marianna does a lot of the color choosing, plus she keeps me honest and grounded when I start having crazy ideas of what to print." What I love most about that statement is learning that 'ideation' is a word...who knew? Rocky Top is to the left, Yellowhammer, (Alabama's state bird) is to the right. Michah's favorite print is General Manners as it reminds him of Southern manners and etiquette. Micah's mom and her family are from Arkansas. When he heard the phrase, Root Hog, or Die, it caught his ear. Turns out it's an old idiom for self reliance. For The Line, which designates the Mason-Dixon that separates north from south, and as Micah says, "sweet tea and tea," the Whitsons created a straightforward yet strong design. As Micah explains, "I've got an old bus roll sign from a 1946 Greyhound that went from Nashville through my hometown of Huntsville, all the way to Selma. Well, like all those signs, it's black and white and simple." 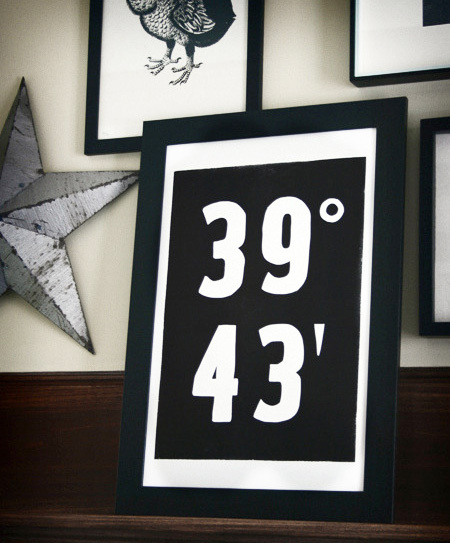 Once the designs are complete, the prints are made using vintage wood and metal type. For the graphics, linoleum is carved by hand. Colors are then chosen and the prints are made. Micah, "Finally, after a day of drying time, we bring them home, emboss and number them, then ship them to someone who is living in Muncie but really missing Knoxville."